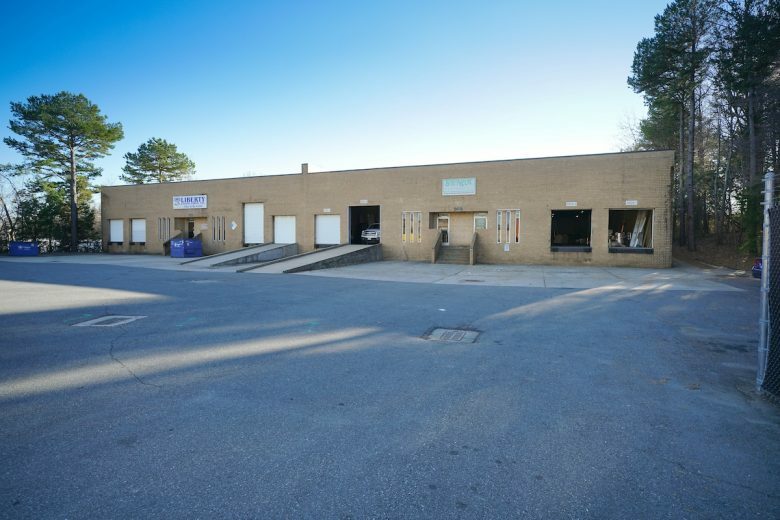 Charlotte real estate firm Beacon Partners has closed on the first part of a warehouse portfolio in Mecklenburg County. Beacon, in three transactions, this week acquired 10 properties across the city — 1418 and 1430 Ameron Drive, off North Graham Street; two in southwest Charlotte, at 200 Crompton St. and 200 Olympic St.; and six about a block from the Lynx Blue Line Scaleybark Station, an area that's been informally branded as Lower South End. Beacon acquired the properties from Vinson Enterprises Inc. for $13.2 million, according to Mecklenburg County real estate records. Beacon plans to retain some of the buildings as industrial space and will convert others — the ones near the transit line — into office and retail space, said Pete Kidwell, director of industrial investments at Beacon. The firm will be closing on another part of the portfolio, which includes an additional Ameron Drive property and two more buildings in Lower South End, in late February. Collectively, the portfolio is about 266,000 square feet, with individual buildings ranging from 6,000 to 63,037 square feet. At the Lower South End properties — a collection of small buildings that includes 3500, 3521, 3530, 3531 and 3539 Dewitt Lane and 3621 Tryclan Drive — Beacon will renovate the space and market it for new office and retail, Kidwell said, adding that Beacon has filed for a rezoning petition for the properties. Among the buildings, 3530 Dewitt is empty today, and the firm expects more space in those buildings to eventually come online, Kidwell said. The buildings collectively total about 50,000 square feet. "We looked at this street three years ago and said it wasn’t ready," said Kidwell, adding that real estate activity has since started to move farther down from South End and into the Scaleybark area. In fact, over the past several years, breweries, companies and other users have rehabbed existing warehouse supply in the area into new retail and office space. "We’re (now) lucky to get any of them," Kidwell continued. The other properties in the portfolio Beacon acquired this week consist of older industrial buildings that don't have the clear height, say, of today's industrial construction, but the buildings are in what Beacon considers key locations and fill a niche for specific users, Kidwell said. Those buildings will remain as industrial space and are today mostly leased up. With more institutional capital wading into Charlotte, Beacon and other groups are having to get more creative in the types of assets they buy, which has prompted investment in older properties that likely require maintenance but are in prime locations. Beacon has been a prolific buyer at Atando Business Park — just north of uptown and near its new holdings on Ameron Drive — that is also older real estate but is seeing some of the best rent growth in Beacon's industrial portfolio. "It's a really challenging environment to invest in," Kidwell said. "There’s so much capital out there that’s interested in industrial product, it's pushing (capitalization) rates lower and lower." Beacon paid $6.3 million for the Dewitt and Tryclan buildings (52,690 square feet), $1.9 million for the Ameron Drive buildings (28,000 square feet) and $5 million for the buildings on Olympic and Crompton streets (85,301 square feet). Rob Speir at Colliers International represented the seller in the transactions.